Now that the new iPhone X is available to consumers Apple is busy working on the next new iPhone to be the iPhone SE 2. Expected to be released around March of 2018 this new phone is for the budget minded who want a new phone but are either unwilling or unable to pay the hefty price tag of the iPhone X. The device is said to be manufactured by Wistron, a giant tech manufacturer based in Taiwan with locations around the world. Currently, Wistron is in the process of constructing a new plant in Bengaluru, India that will be devoted exclusively to manufacturing Apple iPhones. The new iPhone SE 2 reportedly will increase in size from the current model’s four inches to six inches. The price won’t be much more than the current iPhone SE which is now around $450.00 for the 129 GB model. 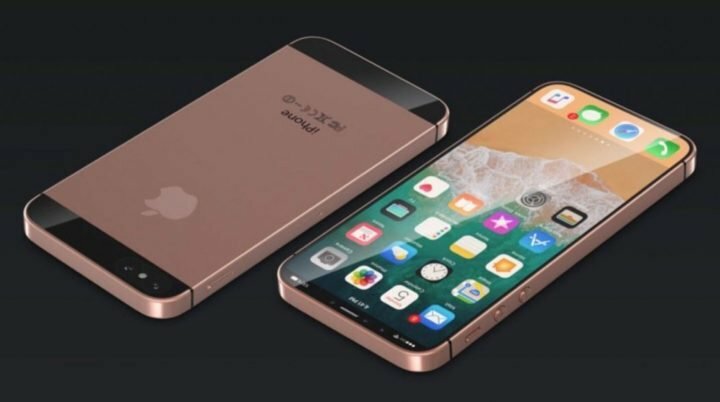 Experts believe the look of the new iPhone SE2 to be similar to the iPhone 8 but smaller. It’s unlikely that the phone will have the rose gold color option. The hottest rumor going around is that the new iPhone SE 2 will have a glass back like the new iPhone X and iPhone 8 which allows for wireless charging. It is also believed that the new phone will be thinner that it’s previous model and may have iPhone X’s flat glass LCD-TFT screen with no borders or home button.It may be equipped with the iPhone X’s face ID technology. The new iPhone SE2 will reportedly use an A10 fusion chip and a 7MP FaceTime camera. The rear facing camera is expected to be 12MP the same as the current iPhone SE. As Apple has always been secretive about new products, the leaked information may just be a smokescreen. Pan Juitang, China’s Huaquang Research analyst, has stated there will never be an iPhone SE2 as the market for smaller phones no longer exists.